Wow a few months it has been. So changes here in the shop. The 4m BBB wall is one of major changes with more bling for your ride then you can poke your handle bars at. 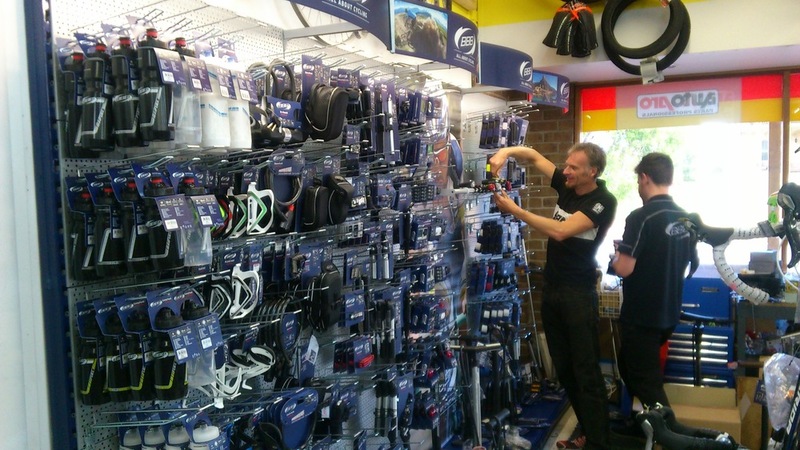 Here you can see Pat Jonker and Harry for Bike Sportz Australia installing the wall and the products. 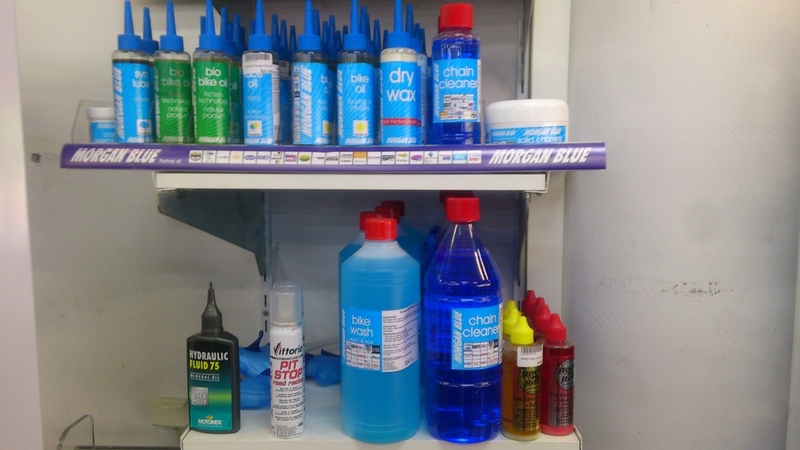 Morgan Blue products is new to the store as well. Morgan Blue is the choice of many of the Pro teams. With every thing from chamois cream to polish. I have been using it on my bikes for some time before I was happy to sell it to you. I have admit that my chain life has significantly improved with over 6000km on this chain. We now use it in the workshop as well. The bike wash is a great product leaving your bike clean and waxed ready to cut through the air like a knife. What a hot topic tyres are at the momment with what size to run? 25mm is now the norm in the industry but not all older bikes will except these sizes. Also what compound should you be using? Tyres come with a TPI rating to tell the user threads per square inch in the casing a higher rating will mean a faster rolling trye ei. 320 tpi is a extremlly high rating so the tyre will roll, react and grip very well. But it will not last as long as a 60 tpi tyre. The other issuse is you can get trapped into using the better tyre all the time because of how they feel. Here at Supreme Pro Cycles we stock a huge range of tyres to suit all bikes. 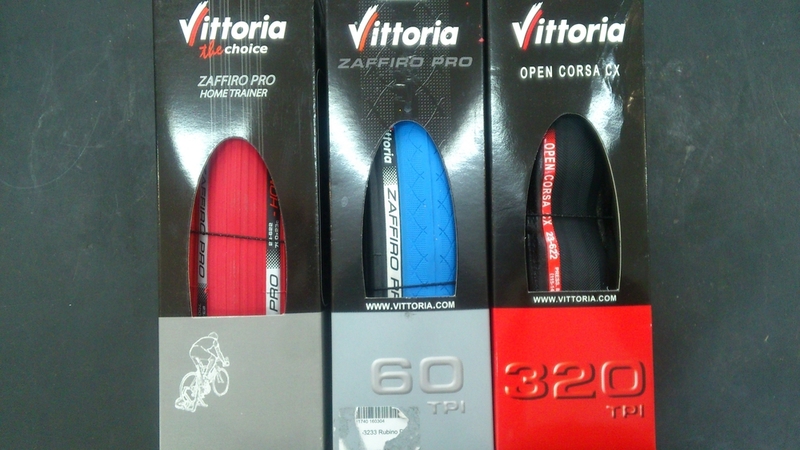 From your home trainer trye to Vittoria Corsa Evo CX a 320 tpi tyre. We will have something to suit your needs. I call this the machine of death because it is just that there is no rest when using the trainer. 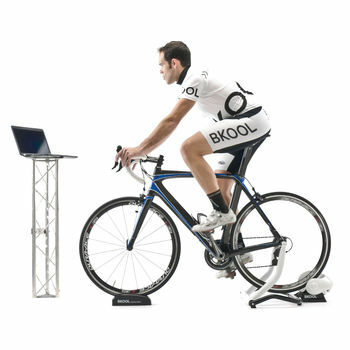 The Bkool is a turbo trainer that you can run through you computer and down load courses to ride, most based around the Giro d'Iitalia. Alot of the climbs on the Tour de France are on there as well. The Bkool will load to simulate up to 20% incline making it very realistic to ride. You can also ride your local roads and map it with the Bkool phone app and then down load that to practice your TT route while inside on a wet day. Way too many features to list here check out the web site. A good fitting helmet is hard to find. We have a great range of Lazer helmets starting from $39.99! The new Lazer Z1 will have an ANT+ heart rate strap built into the the head adjustment strap which will work with any ANT+ device. Last but not least DEMO bikes. I don't think you'll find a shop anywhere near us that has such a range of demo bikes! 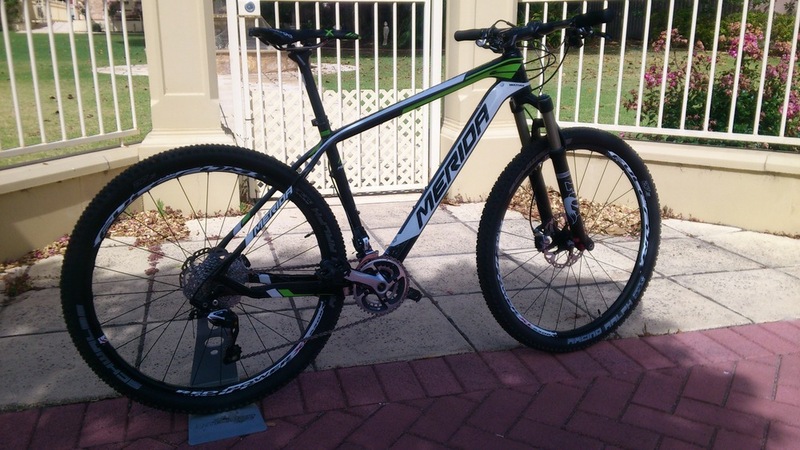 We have a Merida CF Big 7 5000 in stock for you to try ( only if you are in the market no joy rides). Also a Merida CF Scultura 907 road bike and wait for it drum roll please (insert music in your head here). 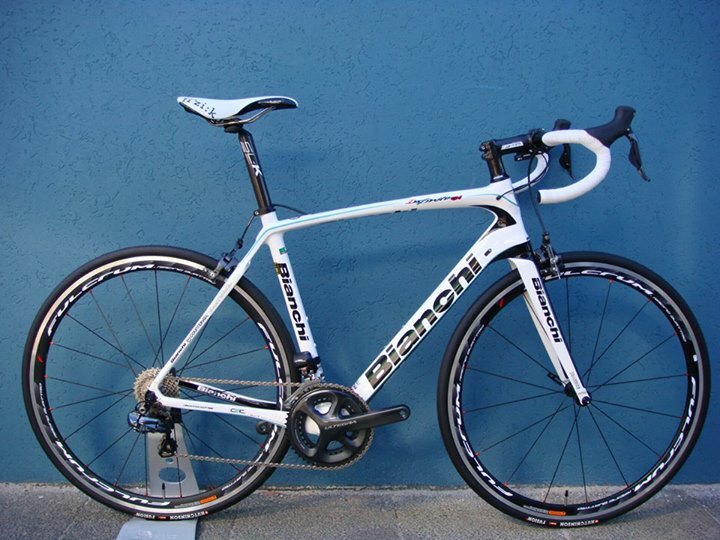 We have the Bianchi Infinito CV in stock for you to test ride. I'm not going to bang on about it now as I have been for weeks. All I will say is believe the hype. Well I think it's time I signed off.